Current favorites. | I love nice things! So, long time no blogging! But here we go! Maybe I`ll start blogging more this year, who knows… I thought I`d start by presenting a few of my current favorite products. I loooove the Chanel Vitalumiere Aqua foundation. I have the shade 20, and I think it`s a pretty good match. Not too pink, not too yellow. I have combination skin, with a pretty oily t-zone, but with a little bit of powder i think it works fine. It does`t get me through a whole day at work or school, but I still love it. It has that wonderful Chanel scent, and I love that it feels so luxurious. A new everyday staple is the Kanebo Sensai 38 mascara. I use the shade brown. This has fibers in it, and makes my lashes perfect for everyday wonderfulness. The best thing about it is that it`s waterproof, up till 38 degrees Celsius. I find waterproof mascaras too much of a hassle, but regular mascaras don`t cut it for me. I tend to cry happy or sad tears a lot, and also the weather here in Norway is solo unpredictable, and don`t wanna worry about my mascara running. I used to use the Clinique ones that work the same way, but I find that they smudge on me. All in all, love this one, and will be using it for years and years to come. Another everyday must for me is the Kiehl`s ultra light UV defense. I use this every day, even in the winter. It`s light weight, and works great under make-up. It does not brake me out, and doesn`t smell of anything. Love it. 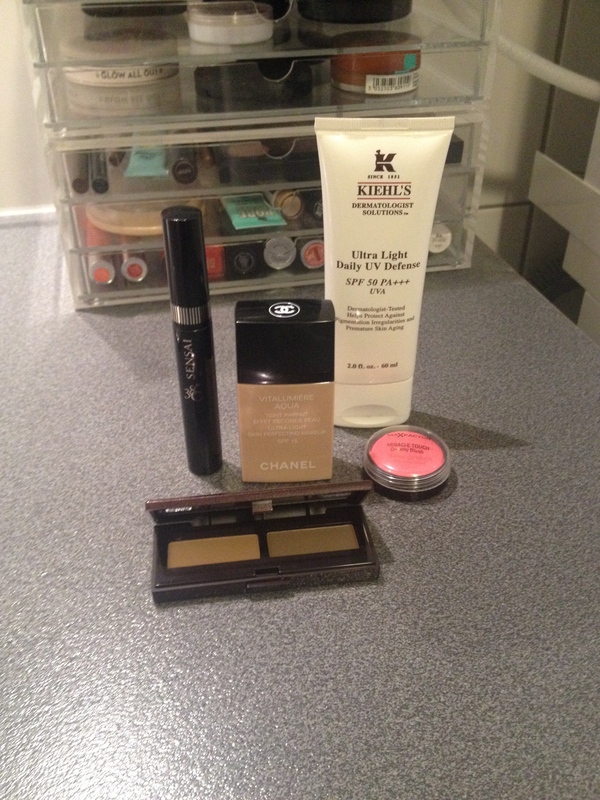 This entry was posted in Current favorites, Everyday niceness, Make up and tagged brows, chanel, favorites, Foundation, Kanebo, Kiehl`s daily defense sunscreen, Laura Mercier, Mascara, Max Factor Blush, vitalumiere aqua, waterproof by managalsa. Bookmark the permalink. Ja, gjør det =) Jeg tipper du blir fornøyd!